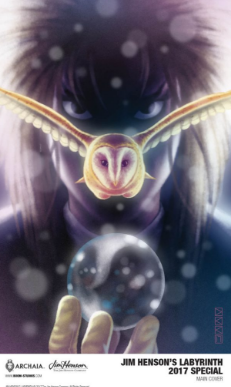 The Mary Sue recently posted a very positive review of Jim Henson’s Labyrinth 2017 Special #1, a collection of short comics about minor characters from the classic 80s fantasy. I'm not usually a fan of movie novelizations, but Labyrinth is different. I've spent my whole life feeling like that there was more story to be told in that universe, so I'm always willing to give the various tie-ins a shot.